Ria and Yiouri Augousti use a mix of unconventional fabrics, exotic skins and shells to create the modern vintage style that has become the signature of Augousti. 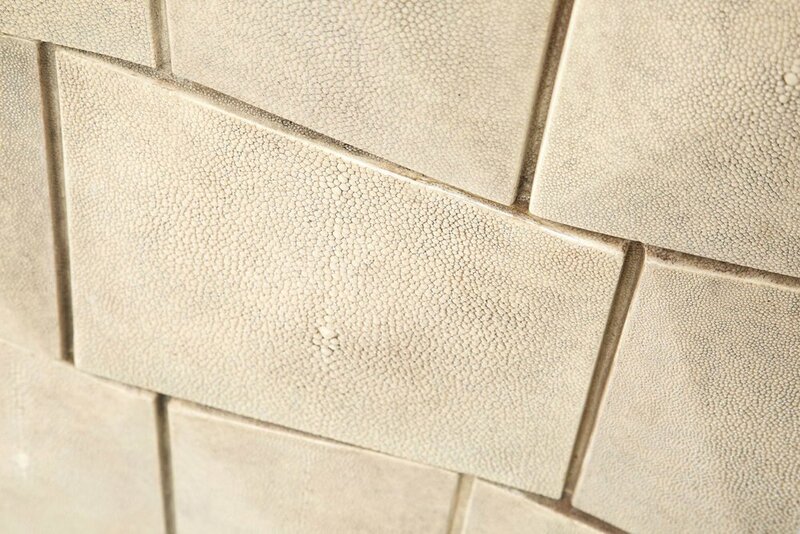 R&Y Augousti revived the use of shagreen, originally found in antique Art Deco pieces, in a completely modern style. 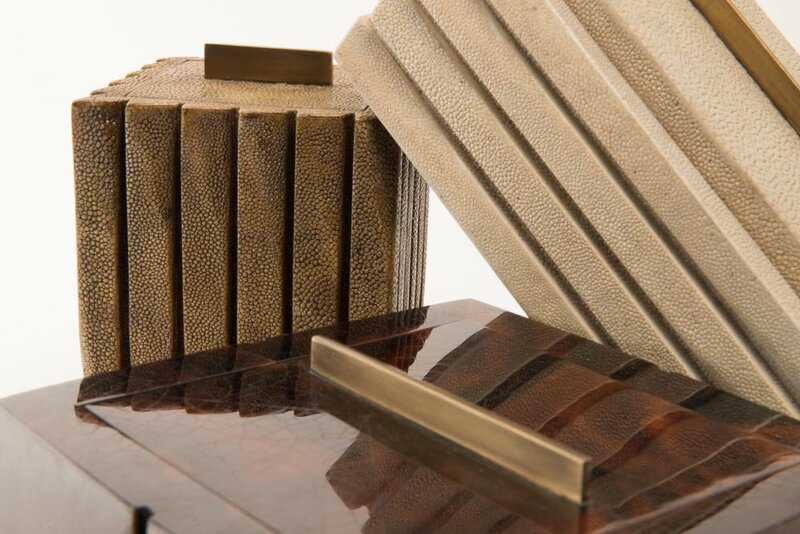 Their avant-garde pieces of furniture have brought new life to the exotic material. Their use of metal and other materials such as shell and lizard, have created incredible patterns that are a part of the core image of R&Y Augousti. Their patterns are mostly inspired by their travels and unique friends.